Monitoring trends impacting banking and financial services today while also scanning the horizon to prepare for potential disruptors yet to come, industry leaders are devoting additional focus and investment to recruitment. New approaches for hiring are needed not only for traditional banking and financial services jobs, but also new emerging roles in quantitative analysis and Artificial Intelligence, to name just a few. An RPO solution, done right, can find this type of talent in non-traditional places perhaps overlooked in the past and uncover better hires who more closely match your workforce needs. 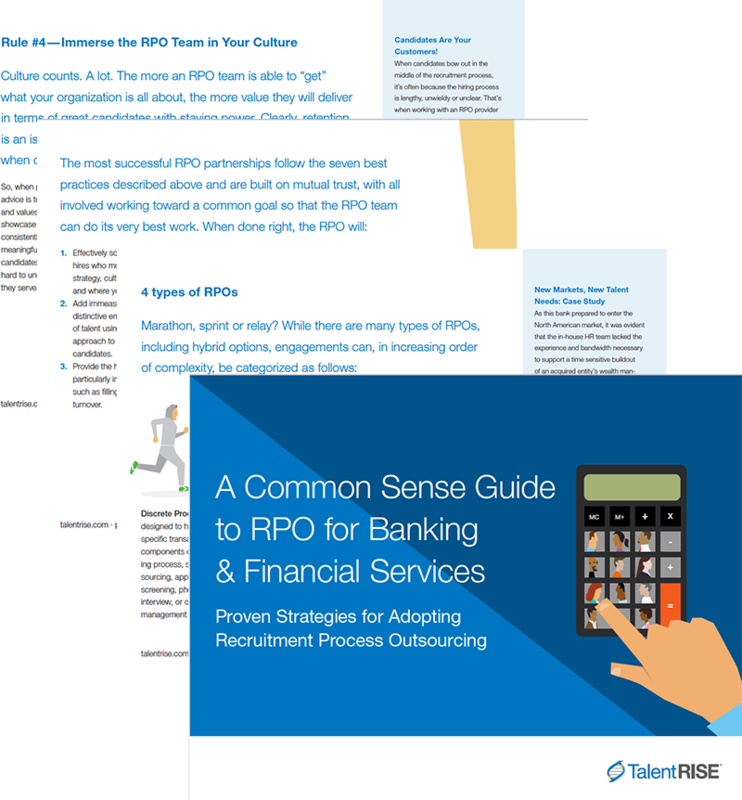 Download the eBook to understand how RPO works and why it might be the best option for recruiting top talent to your bank or financial institution.